Choosing your wedding dress is such a huge decision! For some it can be an enjoyable experience, for others it can be a little daunting. How will you know what style will suit you? Will you be too hot in a big dress in summer? 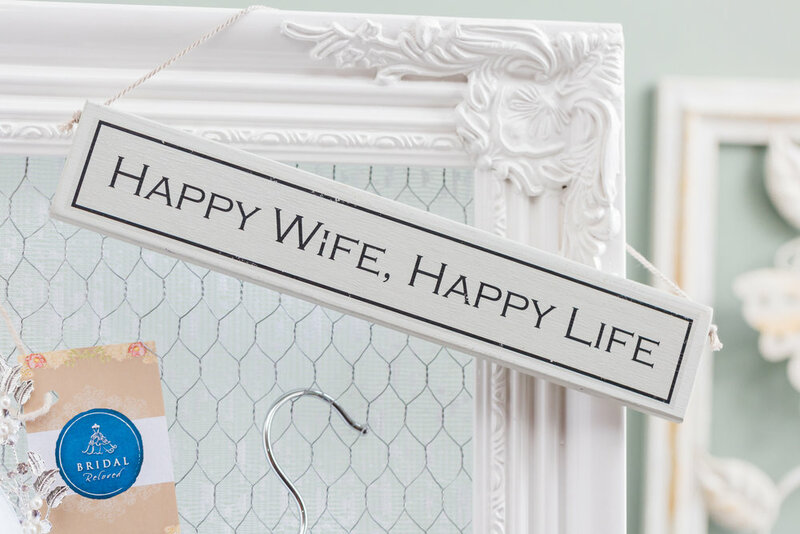 Will your fiancé love it as much as you? How did long have you been in the wedding dress industry and how did you get into it? I’m still relatively new to the Wedding industry. 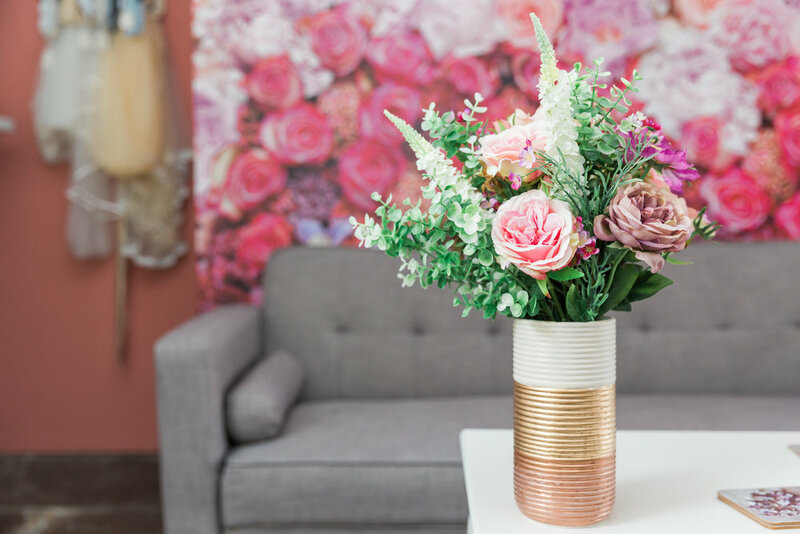 Whilst planning my own big day I became a little obsessed with everything about weddings. Before this I was working as a teacher and decided it was time for a career change. I spent a long time considering what to do next but I kept coming back to this passion for weddings. 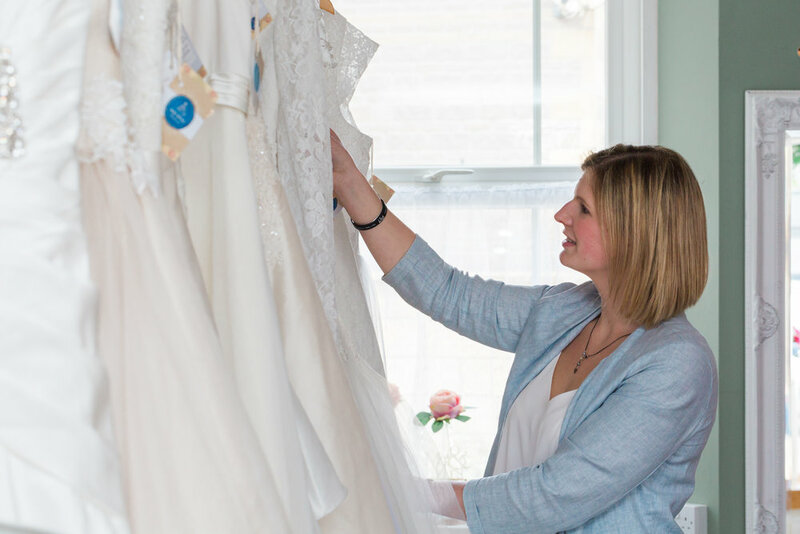 I had found my own wedding dress at Bridal Reloved Dorchester, so I was aware of the company and I was thrilled to discover that I could become part of the franchise and open my own boutique. Tell us all about your lovely bridal boutique and how long you have worked there. The end of April will see us celebrate our first birthday at Bridal Reloved Street. We’re located on the High Street in Street, near to Clark’s Village - an outlet shopping destination with other shops perfect for helping with your wedding planning. Including; Suits, bridesmaids dresses, mother of the bride/groom outfits and more. We hope that our boutique offers a warm welcome the moment you enter. We’ve created a large area for your bridal party to relax whilst you search for your dream dress. All of our appointments are exclusive so you get the whole boutique to yourself. Which dress designers do you stock? Due to the Preloved nature of our boutique we are not tied to selected designers. We pride ourselves on selling top quality names such as Ian Stuart, Claire Pettibone, Jenny Packham and many more. Which wedding dress styles are proving popular for 2018? Lace is always popular, but we’ve definitely found a shift towards dresses with sleeves or straps. Low backs have proven popular too, having an interesting back on a dress is vital as it’s what your guests are looking at during the ceremony! Do you also stock bridal accessories? We do have a selection of accessories in the boutique such as veils, belts and hair vines. We also have a seamstress who can create bespoke items such as boleros or garters. How far in advance do you advise brides start looking for their wedding dress? The beauty of our dresses is that the are ready to take away so we can be perfect if you’re planning your wedding on a short time scale. However, many of our brides are searching between 10 and 14 months before their big day. This allows plenty of time for alterations, coordinating bridesmaids outfits and selecting shoes and accessories. What are your top tips for brides to be searching for their perfect wedding dress? My biggest advice is to try on lots of wedding dresses - different shapes, fabrics, necklines, colours. Even if you’ve got an idea in mind, you may be pleasantly surprised. Another one would be to bring with you people whose opinions you trust, they know your personality and style of wedding so can be best to offer their advice. But, remember too many can cause just as much confusion. We do offer our brides the chance to come back and show their chosen dress to their bridesmaids etc. should they wish to. What do you advise brides-to-be wear or bring along when trying on wedding dresses? We would recommend wearing good underwear; something that you’re comfortable in and perhaps a strapless bra to help give you an idea of how the dress could look. It may also be useful to bring a pair of heels if you have an idea of height in mind, although we do have a few pairs in the boutique for people to try. We also ask that you do not wear too much make up or fake tan, in order to protect the dresses. Who is your favourite dress designer? I’m definitely a huge fan on Ian Stuart - I can’t resist ruffles , although some of his designs may be a little flamboyant for some what is clear is he knows how to flatter a woman’s shape. I also adore Watters gowns, particularly their soft and romantic styles. What is your prediction for Meghan Markles choice of dress? I’m sure Royal protocol may dictate some elements of Meghan’s dress however, I hope to see her in something shapely. I’m predicting a fit to flare gown with 3/4 sleeves and a large train. I think she’ll be keen to distinguish herself from Kate and Pippa’s wedding gowns. It’s an amazing environment to work in. I’m now at the point where my first brides are getting married. I’ve followed their journey, heard all about their plans, helped them make a big decision and then getting to see their wedding photos at the end is amazing. I’m proud to say I get to be a part of that. And lastly, tell us all about which wedding dress you wore on your own day and how you found it? I did a lot of research before I went dress shopping and visited 3 different boutiques. I quickly learnt that what I had loved in the magazines didn’t suit my shape at all. I eventually found my dress in the Bridal Reloved Dorchester boutique. There were 2 gowns that I narrowed it down to. I eventually decided on a dropped waist, taffeta gown which gave me a beautiful figure and made me feel amazing - it was definitely everything I said I didn’t want! Which is why I encourage our brides to try on lots of different styles; you may be very pleasantly surprised.